For most of my children’s lives, we’ve lived within ten minutes of a small ski resort. I’m not sure why, but my husband and I never really considered visiting. It wasn’t until we moved out of state, and returned home one Christmas that our kids finally had the opportunity to learn to ski with friends while my husband and I chatted in the lodge. Two of my teens enjoyed the experience enough to talk my husband and me into purchasing season passes when we moved back to the area a year later. My son easily picked up snowboarding, while my daughter enjoyed skiing. Soon, my teens began to mention ski trips and I realized that our small ski resort no longer offered much of a challenge. They were ready to move on to bigger and better slopes and I began to hear words like “road trip” and “Colorado” but a trip to the Centennial State had a couple drawbacks- distance from home and cost. I began to do some research and that’s when I heard about Snowshoe Mountain and skiing in West Virginia. West Virginia was an easy weekend getaway for my family. Less than six hours from our home in North Central Ohio, Snowshoe Ski Resort is even closer to Washington D.C. and many towns along the east coast, making it an ideal winter getaway for those craving some outdoor recreation. 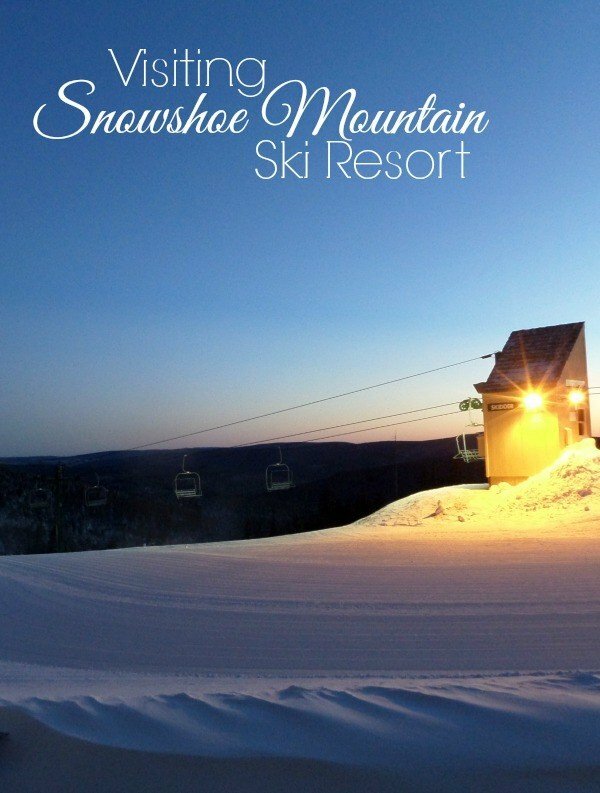 Snowshoe Mountain Ski Resort is located at the top of Cheat Mountain in the Alleghenies and is one of a handful of ski resorts in West Virginia. With 1,500 vertical feet, Snowshoe encompasses an area of 250 acres that includes 15 lifts and 60 trails with four terrain parks. Snowshoe also boasts a “Best Snow in the Region” guarantee! 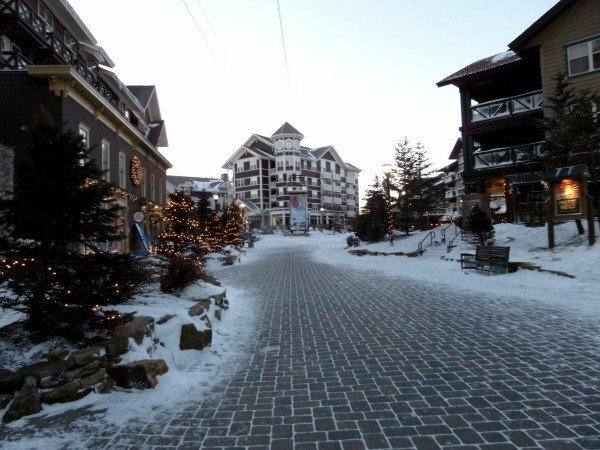 We carefully made our way up the curvy mountain road and checked into our rooms at the Highland House, conveniently located in The Village, close to shopping, restaurants, ski rentals, the Ski school, and the free shuttle bus. The properties are privately owned, so each unit is decorated according to the taste of the owner. My husband and I found our slope side Jr. Suite decorated in a comfortable rustic cabin theme. Our home for the weekend was equipped with a gas fireplace, Queen-size bed, pull-out sleeper sofa, refrigerator, microwave, flat panel TV and DVD players. The only basic amenity our room lacked was Wi-Fi. We arrived and settled in too late in the evening to hit the slopes, but there’s no shortage of activities at Snowshoe. 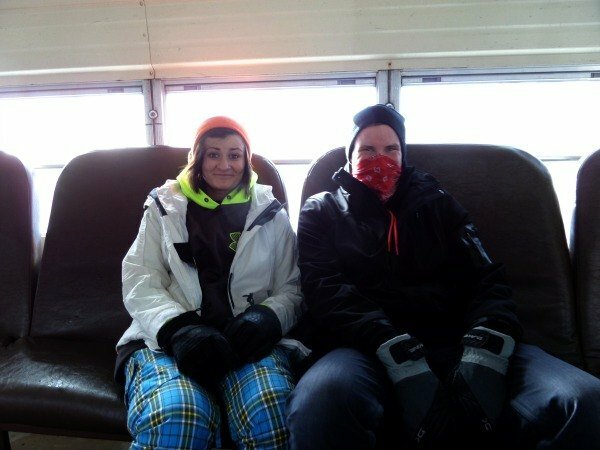 We bundled up in our winter gear and prepared for a Polaris RZR Tour. Donning helmets and safety belts we sped off through the backcountry of the mountain to experience a hearty meal of beef stew and delicious apple cobbler in the Sunrise Backcountry Hut. The RZR Tour was a highlight of the weekend, especially for my 18-year old who was able to drive our 4-passenger vehicle, following the tail lights of the RZR in front of us along a curvy tree-lined trail, bouncing along the mountain terrain and passing through an icy mountain stream. The next morning we awoke and headed to The Depot to pick up our lift tickets, rental vouchers and passes for Ski School. The combination of slow computers and the promise of fresh snow, which lead to the resort selling out for the weekend created a bit of a backlog when we picked up our rental gear, making us late for our 9:00 lesson. (See my tip at the end of this post). This was the first time my husband and I had ever stepped onto skis. Though we were both a bit nervous (especially me), we were excited to learn with Snowshoe’s new Terrain-Based-Learning program, which is taught at a limited number of Ski Schools throughout the country. 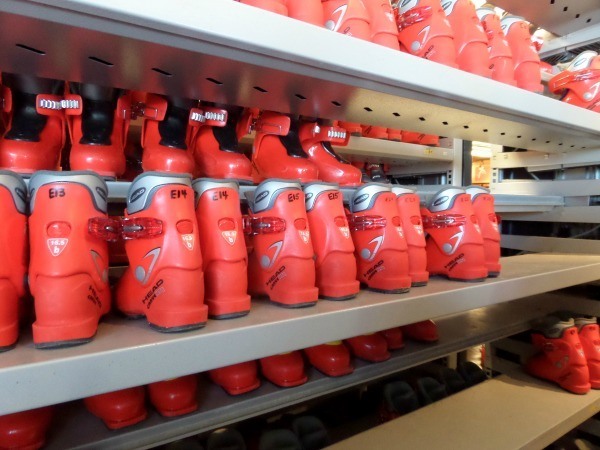 Designed to take the fear and apprehension out of skiing, trained instructors teach beginners in a special mini-course of shaped snow which simulates gently rolling terrain used to naturally control the student’s speed. Though I am probably the biggest wimp ever and I’m certain, the worst student, I was able to maneuver the course under the guidance of my teens to learn how to control my movement to slow myself and most importantly (to me), to stay upright. After several jaunts down the bunny hill and up the magic carpet, I was beginning to think that skiing was something that my uncoordinated self could learn to appreciate and enjoy. Though my son is a snowboard instructor, he opted to take a lesson and was very impressed with the training he received. Unfortunately, he learned to snowboard from his friends so he has no way to compare the difference between what a normal lesson would be as to the Terrain-Based-Learning lesson he received at Snowshoe. My husband and kids were on the slopes for part of the day before they finally took a break to eat. 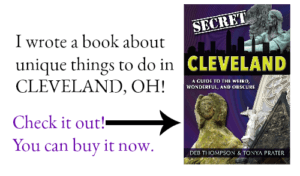 We stopped into Cheat Mountain Pizza and found it a very busy place. Rather than wait for a table, we opted to order a couple pizzas to take back to our rooms. We were impressed by the pizza choices and settled on a Philly Steak Pizza. Refueled and rested, we hopped on the shuttle bus and rode to Silver Creek to test out the six-story-high, five-lane Coca-Cola Tubing Park. We ate a delicious Tex-Mex dinner at the Sunset Cantina before calling it a night and falling into bed, exhausted. The next day we enjoyed sleeping in before waking for a late breakfast of coffee and pastries at Starbucks, one of the few locations where guests can log-in and check their email. Fueled for the day, my kids geared up and headed off to traverse the slopes, leaving my husband and me on our own, something that rarely happens when we travel. While they enjoyed their independence and time away from us, we enjoyed a leisurely morning of shopping, before meeting the kids for lunch and some fun photo ops. The kids boarded and skied most of the day. After the slopes at the Snowshoe Basin closed, my son popped over to Silver Creek to check out the terrain parks which are open until 9 pm. Our last evening on the mountain we enjoyed an amazing meal at Pasta’s, which specializes in Italian cuisine and had the best chocolate covered gelato dessert! My kids even passed up their Tiramisu for bites of the deliciousness. With much regret and moaning from my children, we packed up early the next morning to head home. The protests didn’t last long as my two worn out teens fell quickly asleep in the backseat uttering something about the best weekend ever. I’d say our weekend at Snowshoe Mountain was a hit. The Big Top is a 15,000 square foot playground for children that offers inflatable bounce houses, slides, a climbing wall, and arcade and is perfect for younger children. The Split Rock Pools offer unique indoor/outdoor (heated) swimming with slides and a geyser as well as a hot tub and sauna for adults. Take a heated tour in the Snowcat Grooming Machine and learn about the grooming of the slopes and snow-making process but be sure to keep an eye out because it’s rumored that Bigfoot may live in these parts and may just make an appearance. The 20 Below Teen Center offers pool tables, video games (including the Xbox One), charging stations, Wi-Fi and a dance floor on the weekends. Evening guided snowmobile tours of the basin are available. The 3,600 square foot Spa at Snowshoe offers skin and body treatments, a salon and top of the line fitness center, the perfect escape for a mom or dad who wants to get away to relax and feel pampered. Polaris RZR Tours provide an off-road adventure into the backcountry of the mountain for those 12 and up. The Woods Escape Room transports visitors to the backcountry hut on Cheat Mountain via the 4-seater Polaris RZR’s where you must solve the puzzle to escape. Snowshoe Mountain Resort is a rural, remote resort which happens to be located in a National Radio Quiet Zone. This basically means that cell service is very limited so the nearby satellite can monitor the solar system with minimal interference. The only cell phone coverage you’ll get on the mountain is AT&T. We lost our signal about an hour from the resort and you may lose your GPS signal as well. Print directions to the resort before you leave home. Unlike most resorts, Snowshoe is located at the summit of the mountain rather than the base. While this allows for ski in/ski out from many of the properties, the curvy, twisting road to the top of the mountain may prove to be a bit much for some and you many find Dramamine or something to combat motion sickness helpful. Snowshoe Mountain Resort also receives an average of 180 inches of snow a year, while the roads are well-maintained, an all-wheel drive or 4-wheel drive vehicle is highly recommended. Though the amenities are offered by individual property owners, both of our rooms had a DVD player. You can pack DVD’s from home to watch in the evenings, or for downtime during the day, or you can rent DVD’s, including new releases at Wildcat Provisions and Deli. There are varied dining options available on the mountain, with options from pizza at Cheat Mountain to fine dining at Pasta’s, but to save money you may want to pack snacks, breakfast items, microwave popcorn or drinks from home. 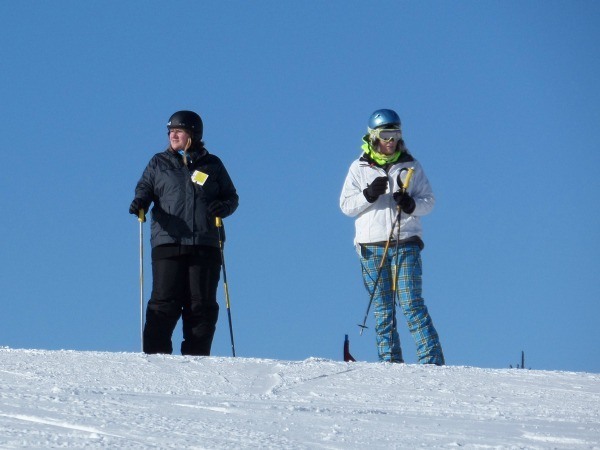 Snowshoe Mountain Resort offers many events throughout the season with special money-saving opportunities, including Ballhooter Spring Break and the Armed Forces Winter Salute. 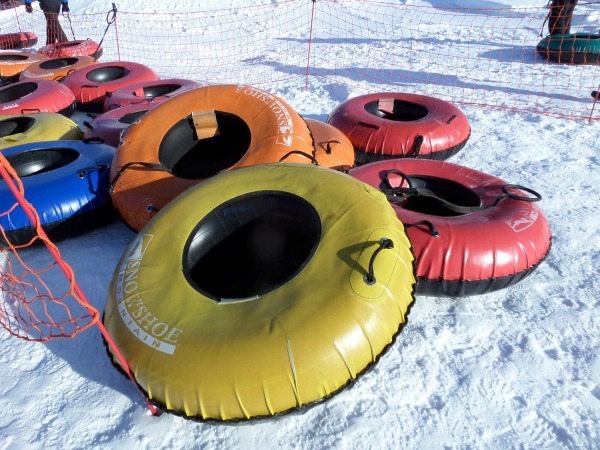 You’ll find out more about these opportunities and special rates online when you visit www.snowshoemtn.com. You’ll find the best deals, up to 50% savings when you purchase lift tickets and rentals in advance online. The three rental locations at Snowshoe can get busy, especially on weekends when they are filled to capacity. To save time in the morning, pick up your rental gear the night before. Remember that cell phone service is limited, or non-existent, so don’t rely on cell phones to stay in touch and have meeting times and places worked out before you split up. The Highland House property is ideal for those that would like to be conveniently located within The Village but the slope-side rooms can be a bit noisy during the day and The Village side rooms can be a bit loud at night. If you are sensitive or have younger children that may nap or wake easily, you may prefer a room in one of the other properties, such as Rimside, which offers the best view of the sunrise. Visiting Snowshoe Mountain Ski Resort in West Virginia proved to be the perfect solution to a costly ski trip to Colorado for my Ohio family. Close to home, great conditions and activities for skiers and non-skiers alike, Snowshoe became a weekend playground my entire family could enjoy. We loved it our experience. 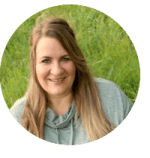 My husband asked several times throughout our weekend why we’d never gone skiing as a family before and more specifically, why we didn’t take our teens when they were much younger. Snowshoe Mountain is about 5 ½ to 6 hours from our home in Northeastern Ohio, about 4 hours from Washington DC and 5 hours from Baltimore. 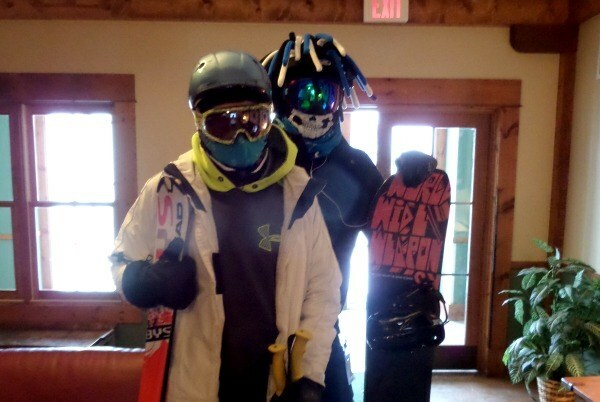 It also provides a great intermediate ski resort in the Mid-Atlantic and Southeast and was a great step-up from our small local resort for my teens to practice their boarding and skiing. My son enjoyed it so much, that he’s planning another trip back to Snowshoe, this time with some of his friends. 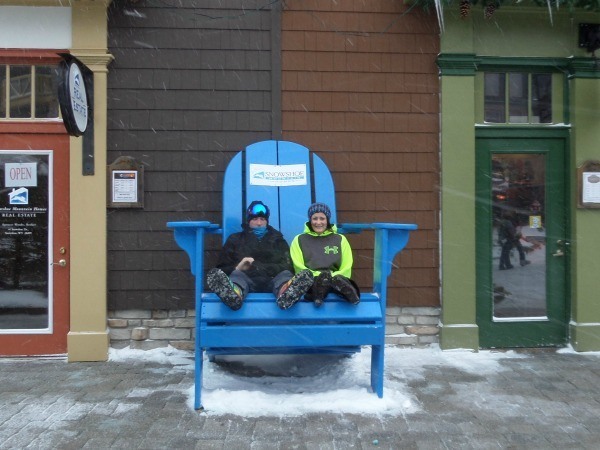 Our trip to Snowshoe Mountain Ski Resort provided the perfect winter getaway. But you don’t have to take my word for it. You can read hundreds of reviews from people who have been there when you click here to visit TripAdvisor. Thank you to Snowshoe Mountain Ski Resort for providing lodging, lift tickets, rentals, RZR tour and meals for my family for the purpose of review. All opinions are my own. Mother Nature has been good to Snowshoe this year…they announced that they are staying open until the first weekend of April! Should make for some fun “Spring Skiing”!! That’s so cool that you got on skis for the first time there. Sounds like the place to go for beginners then. Love your tip about picking up gear the night before too. I’ve never been skiing but omgosh the place looks so incredibly enchanted! I want to go on a getaway without the kids with the husband now. I’ve never been skiing in West Virginia, but it sounds more my size that out west…too scary! Great photos. Glad to see your family enjoyed your family ski trip. I never would have expected such a wonderful resort with a village in West Virginia. What a great resort and I love all the amenities especially the Terrain-Based-Learning program. I gave up on skiing after sinking in the snow and having to dig myself out too many times but this program would have helped a lot. We usually go to Utah for skiing and have gone to Colorado too and this resort is better than some I’ve seen. We’ll have to remember this resort. Gorgeous photos Tonya, and it looks like you had a wonderful visit! I’ve always thought about Colorado as a ski destination. I have family out east, though, so I’d rather visit WV and be able to take a side trip to visit them. I have never been skiing. I would love to learn to cross county ski. I highly doubt I could downhill ski. What a stunning resort! Looks like you had a lot of fun! It looks like it came straight out of a Christmas card! I’d love to go there. I know, isn’t it gorgeous? Made me wish I’d have taken more photos during our visit! Oh how I wish I could get my husband to vacation somewhere I could learn how to ski. It’s on my bucket list. That place looks amazing! My husband actually scared me. He jumped on the skis and took off and I was terrified that he would hurt himself or break something. I hope you have the opportunity to give skiing a try. Man, that is so picturesque! Very informative article. I don’t know if I’d be skiing, but I’d definitely like to curl up in the lodge with some cocoa and look at that beautiful scene! Wow, oh wow! I would love to go there and learn how to ski. Wow, Tonya, it looks so beautiful, and 180 inches of snow per year? I’ve been dying to take our kids skiing/tubing somewhere. We may just have to plan a trip. Snowshoe is a great resort to visit and if you’re kids haven’t skied before, I’d really consider the Terrain Based Learning program. My oldest child doesn’t ski because he had such a bad 1st experience, but I’d like to think that with this program, he may have given it another shot. If you plan a trip, let me know. I’ll hang out with you since my husband often works a short drive away. Can you believe I live in New England and I’ve never skied? Isn’t that awful! I just love the look of the resort though! I could walk around and take photos all day whie everyone else ski’s. Never? That’s because those New England mountains are too intimidating! 😉 I think Snowshoe would be a great place for you to start. I admit, that I’d intended to take many more pictures, but we visited when it was extremely cold and I worried about my good camera. Now I wish I’d gotten it out more! Absolutely beautiful! I love pics of people in big chairs! So cute! I’m a sucker for fun & quirky and my teens are good sports. As soon as I saw the chair, I knew I needed a picture! The only ski areas around here are basically really big hills that have been turned into ski “resorts”. Great for learning to ski which is what I did when I was younger. Now that I’m older, we haven’t been back nor have I brought my kids. I think they would totally enjoy it, too. 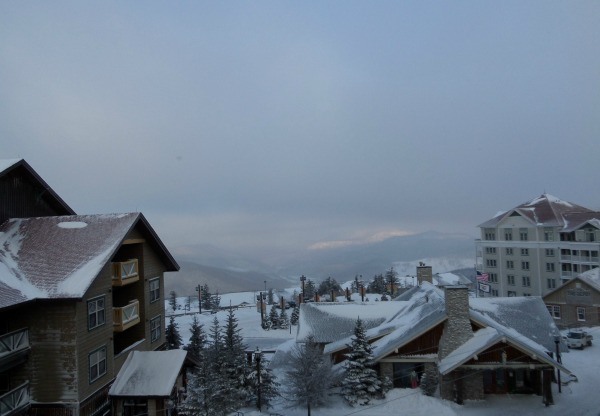 Snowshoe Mountain Ski Resort looks beautiful! That’s what our local ski resort is like and you’re right, it’s been a great place for my kids to learn. Snowshoe provided them enough of a challenge that I’ve not heard anymore conversation about Colorado. It really was picturesque and beautiful.